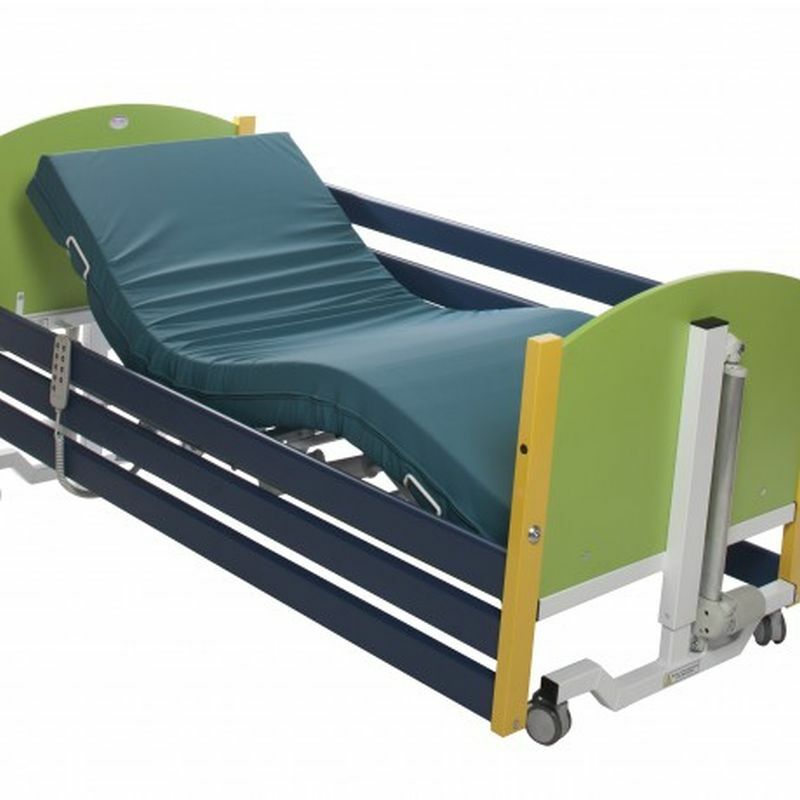 A paediatric profiling bed can help to provide correct positioning and pressure relief for children, but the system is incomplete if used without an appropriate pressure relief mattress. the Sidhil Softrest Junior Contour Foam Paediatric Pressure Relief Mattress is designed specifically for paediatric patients at high risk of pressure relief ulcers, providing an effective and affordable option. With a strong focus on hygiene and cleanliness, the mattress is designed with castelled foam to ensure both comfort and pressure relief for the child. This Softrest Junior Contour Foam Mattress is specially designed to meet the unique pressure relief needs of children. It features an enhanced weight bearing capacity to allow parents to sit on the mattress alongside their child, helping to make the medical environment as friendly as possible. It is made with a smaller size than standard mattresses, making it perfect for use with paediatric profiling beds like the Sidhil Bradshaw Junior Bed. This Foam Paediatric Pressure Relief Mattress is made with foam that is castellated on both sides. The castellations help the mattress to maintain its pressure relief qualities throughout the profiling process, and also help to reduce shear forces on the patient. Since castellations are present on both sides, the mattress can provide equal pressure relief and comfort regardless of which side it is turned on. Please note: While the image above shows the mattress in use with the Sidhil Bradshaw Junior Bed, the mattress is supplied on its own without a bed. Please note, Hospital Beds is dedicated to maintaining the highest levels of hygiene for all of its products and for this reason this item is non-refundable and non-returnable if unsuitable or unwanted on grounds of hygiene. If you have any questions regarding this returns policy, please contact our Hospital Beds Customer Care Team on 020 7501 0592 for further details. Please be advised that the Sidhil Softrest Junior Contour Foam Paediatric Pressure Relief Mattress is usually delivered within 1 week of your order being placed. We would advise you to consider this delivery estimation before placing your order. For more information, please contact our Customer Care Team at 020 7501 0592.